$64.99 This item is selling for $64.99 on eBay. Top-Rated Sellerdynamiclamps consistently earns high ratings from buyers thanks to fast shipping and excellent service. 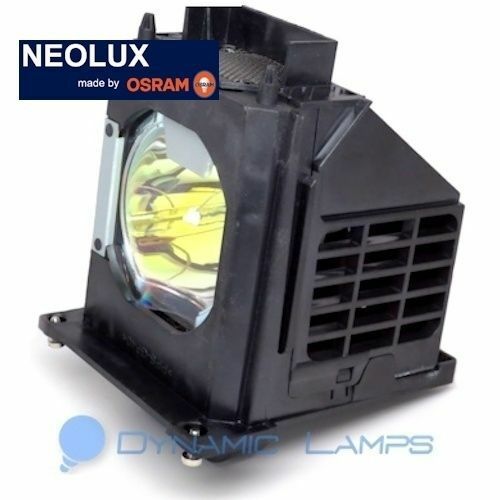 Compatible Models: WD-82737, WD82737 Compatible Part Numbers: 915B403001 This new Osram NEOLUX original replacement lamp is designed to replace the original lamp of your TV. All Osram NEOLUX television lamps come with a 6 month warranty. Please Note: -Buyer pays PayPal. -Free domestic shipping is by USPS First Class Mail. -All orders placed by 3:00PM EST, ship same day Monday-Friday. -USPS tracking email will follow the evening of shipment. -International buyers, USPS First Class International can take up to 45 days to arrive. Faster options are available during checkout. -Import duties, taxes, and charges are not included in the item price or shipping cost. These charges are the buyer's responsibility. Powered by Turbo Lister The free listing tool. List your items fast and easy and manage your active items.